Be the first to taste the first flush of chinese green tea of 2016. A few days ago, a sudden temperature drop caused by a heavy snowfall which silently fell on the Hangzhou and Mountain Huang areas seemed to put too many pressures on this year’ spring tea growth. Fortunately, the latest updates show that the snowfall did not affect the 2016 spring tea harvest schedule too much. One of our cooperative organic tea gardens informed us that the first picking of 2016 spring tea will start on March 23th. Therefore we will begin our preorder on March 20. 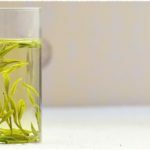 The spring tea will be shipped out as soon as it is available in the warehouse. All preorders can enjoy free shipping. And we will choose ePacket or e-Express to send your package out if these fast shipping methods are available in your destinations. If not, we will use China Post Air Mail to send your order. Moreover, all pre-orders above $30 will be offered a Free 8$ Gift Card which never expires. Notice: this free gift card is available on orders valued $30 or above only. Besides,Two of our colleagues, Angel and Chris, are about to leave for Hangzhou to report 2016 spring tea harvest event. If you want to learn more about 2016 spring tea, our real-time reporting from Tea Mountains will not let you down, so, stay tuned!! 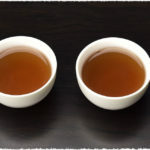 What is the difference between super fine dragon well green tea and the other dragonwell tea (she qian and ming qian)? 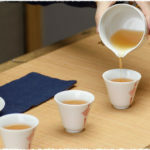 For green teas, the higher grade made by tender tea buds and leaves. And the higher grade look more beautiful. Since the She Qian Dragon Well is made by the first batches of tender tea buds. And it contains more theanine and other nutritions.